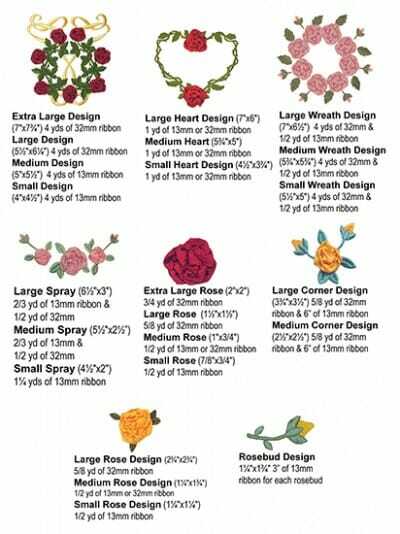 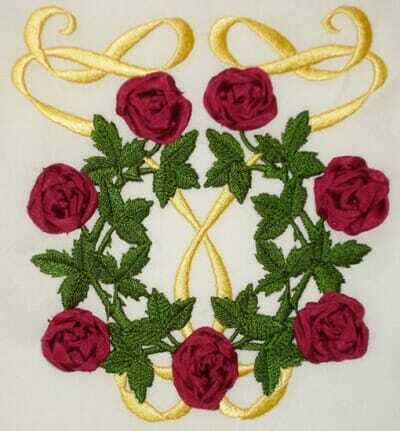 Elegant ribbon roses aided by your embroidery machine. 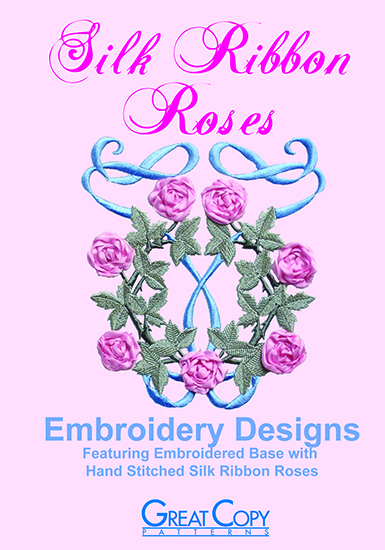 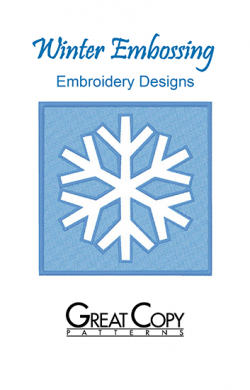 Create beautiful Silk Ribbon embroidery with the aid of your embroidery machine. 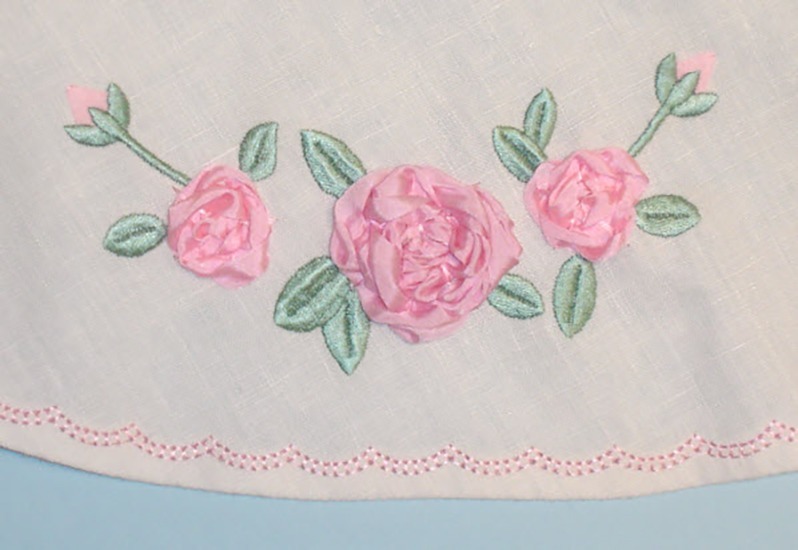 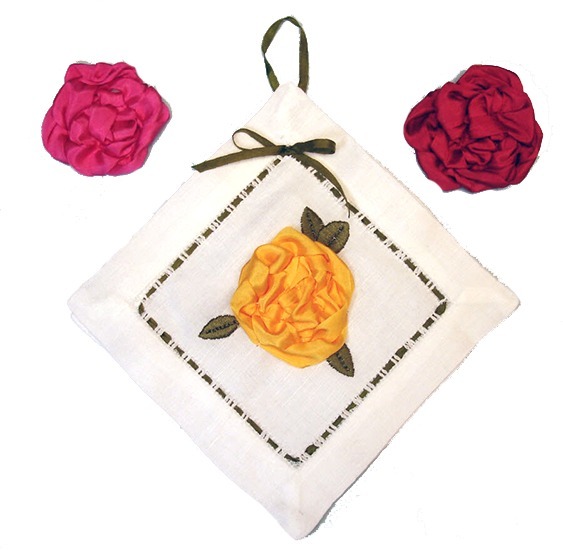 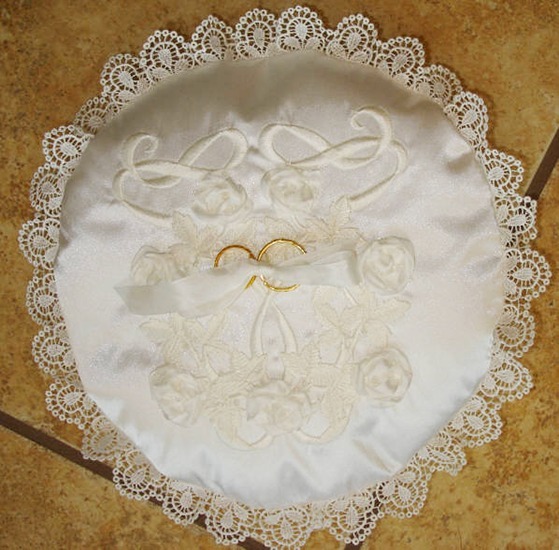 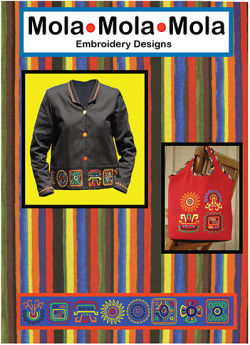 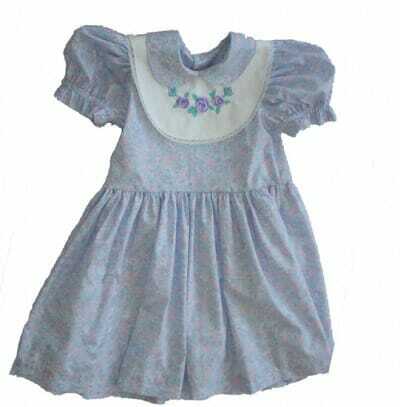 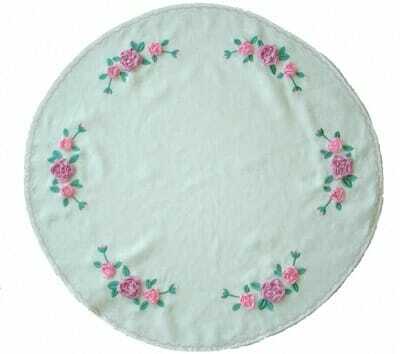 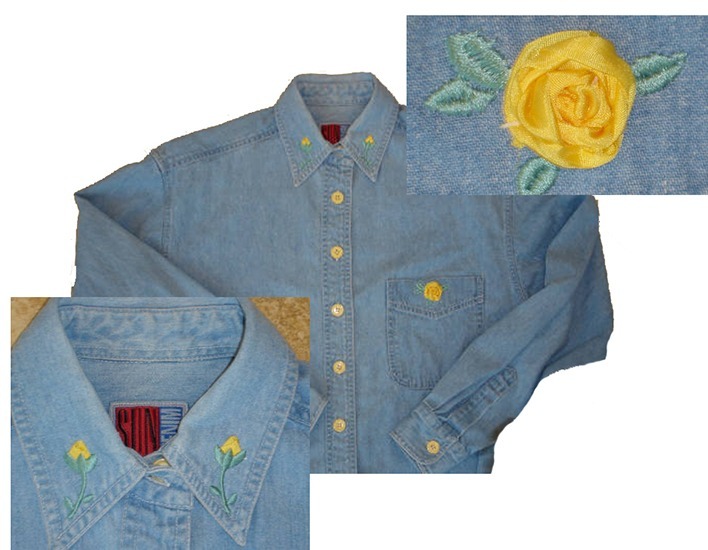 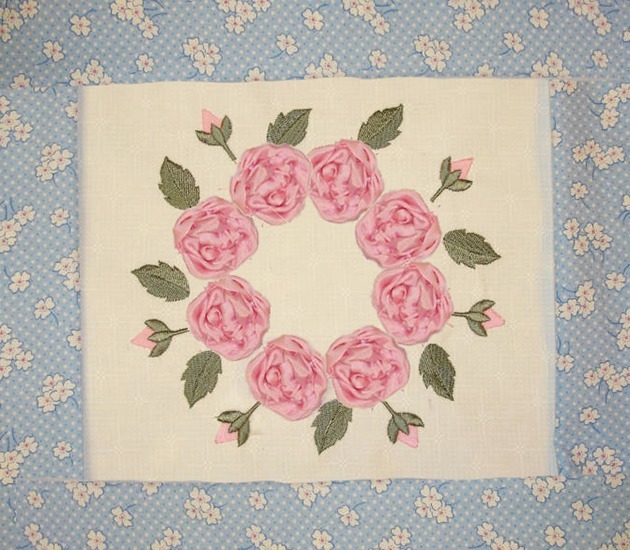 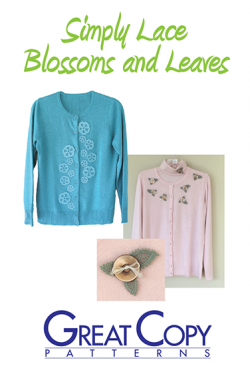 Allow your embroidery machine to lay the groundwork for elegant leaves and rose buds as well as the base for the roses. 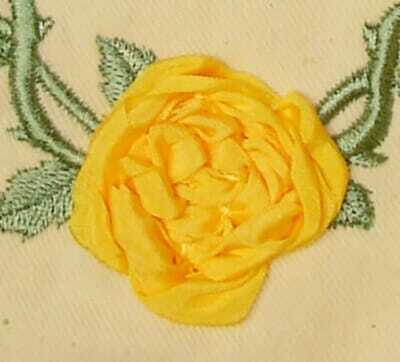 Finish with a few hand stitches for striking dimensional ribbon roses. 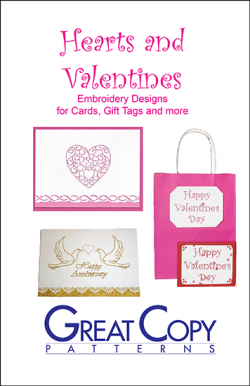 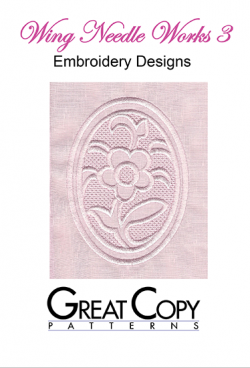 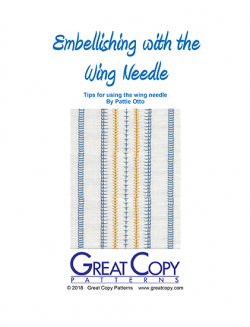 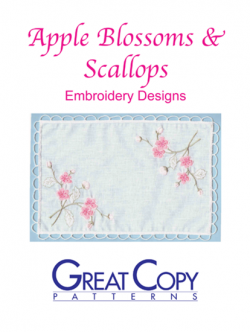 These embroideries are designed to be used with 13mm and 32mm silk ribbon. Rayon ribbon can also be used. 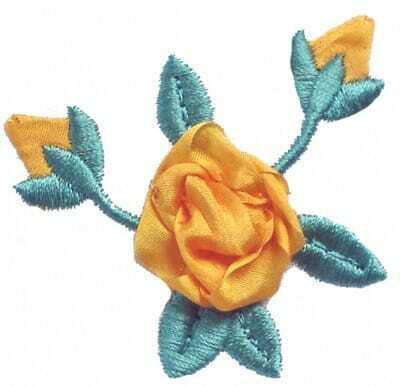 Avoid satin ribbon as it is too heavy for these delicate blooms. For items that will not be washed, organza ribbon can be used.